We made a special purchase to exclusively bring you this very beautiful full 17 inch round wall clock. If you are shopping for decorative wall clocks that can be personalized, then you have come to the right place. This personalized clock features a light cherry finish with large carved numerals. 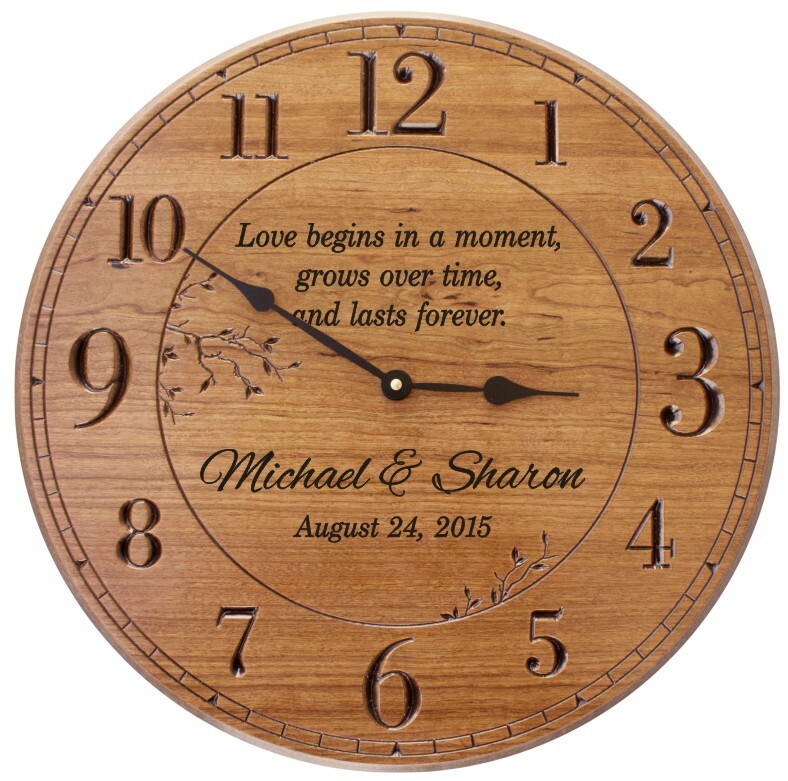 It can be expertly laser engraved with a poem, sentiment and names and date for a very beautiful personalized clock gift for weddings, anniversaries and other special gift giving occasions.